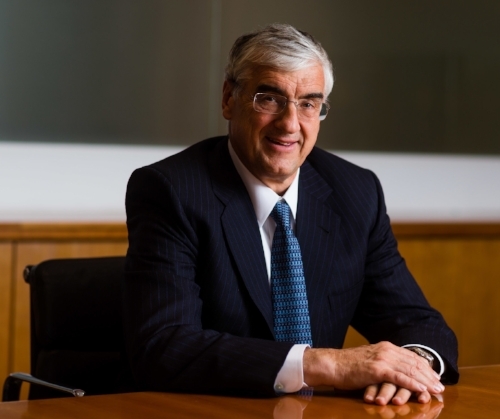 Founded by Sir Michael Hintze in 1999, CQS is one of Europe's leading global alternative asset management firms. Headquartered in London and with offices in Sydney, Hong Kong and New York, we provide investment solutions for institutional investors globally. Sir Michael is a businessman and philanthropist. He is London-based and was brought up in Sydney. Having attended the University of Sydney and served for 3 years in the Australian Regular Army finishing as Captain in the Royal Australian Electrical and Mechanical Engineers, he worked as an Electrical Design Engineer for Civil and Civic. He attended Harvard Business School and began his career in finance in 1982. Life is digital moments. Comptel perfects these by transforming how you serve, meet and respond to the needs of “Generation Cloud” customers. Our solutions allow you to innovate rich communications services instantly, master the orchestration of service and order flows, capture data-in-motion and refine your decision-making. We apply intelligence to reduce friction in your business. Comptel has enabled the delivery of digital and communications services to more than 2 billion people. Every day, we care for more than 20% of all mobile usage data. Nearly 300 service provides across 90 countries have trusted us for perfect customers’ digital moments. In the constant battle for higher-performing steel products, strong and thin win. You need stronger steel in thinner dimensions to make products stronger yet lighter and more sustainable. That’s why we developed Stenx™, our extensive portfolio of high-strength, high-performance structural steels. Strenx has one of the world’s most extensive product programs, both in terms of dimensions available, and with yield strengths ranging from 600 to 1300 MPa. Strenx can produce outstanding results in the hands of ambitious designers who can cuvt 20 to 30 percent or even more weight off steel structures. Strenx helps you products – and your business – reach new levels of performance. SSAB is a highly-specialized global steel company driven by close customer relationships. SSAB develops high-strength steels and provides services for better performance and sustainability. The company is a leading producer on the global market for Advanced High-Strength Steels (AHSS) and Quenched & Tempered Steels (Q&T), strip, plate and tubular products, as well as construction solutions. SSAB’s steels and services help to make end products lighter and increase their strength and lifespan. SSAB has a cost-efficient and flexible production system. SSAB’s production plants in Sweden, Finland and the US have an annual steel production capacity of 8.8 million tones. The company also has capacity to process and finish various steel products in China, Brazil and many other countries. In Sweden and Finland, production is integrated into a blast furnace process. In the US, electric arc furnaces are used for a scrap-based production process. Built to Last. These 3 words describe our products, our company, our culture – and our future. As a leading worldwide provider of navigation, we are committed to making superior products for automotive, aviation, marine, outdoor and fitness markets that are an essential part of our customers’ lives. Our vertical integration business model keeps all design, manufacturing, marketing and warehouse processes in-house, giving us more control over timelines, quality and service. Our user-friendly products are not only sought after for their compelling design, superior quality and best value, but they also have innovative features that enhance the lives of our customers. We have 11,400 associates in 50 offices worldwide. MUSTO is the world’s leading offshore sailing brand and a British leader in shooting and equestrian sports. We engineer performance apparel for your adventures. The same fabric technology that protects our ocean racers protects you in our sailing, country and multi-sport Evolution clothing. Built on 50 years of engineering cutting-edge technical clothing, MUSTO has grown to a global brand renowned for innovation. We test our products to the extreme in the world’s most hostile environments and in the labs so you can trust them to protect and perform, whatever your adventure. Our British engineering and design, approved with two royal warrants, is worn by Olympians and professional athletes, royalty and record breakers. Our kit has been used in every round-the-world Whitbread Race, now with the Volvo Ocean Race, since 1981, and is the choice protective gear for Britain’s Royal National Lifeguard Institute. Explore the world with MUSTO. Your adventure is the MUSTO’s challenge.